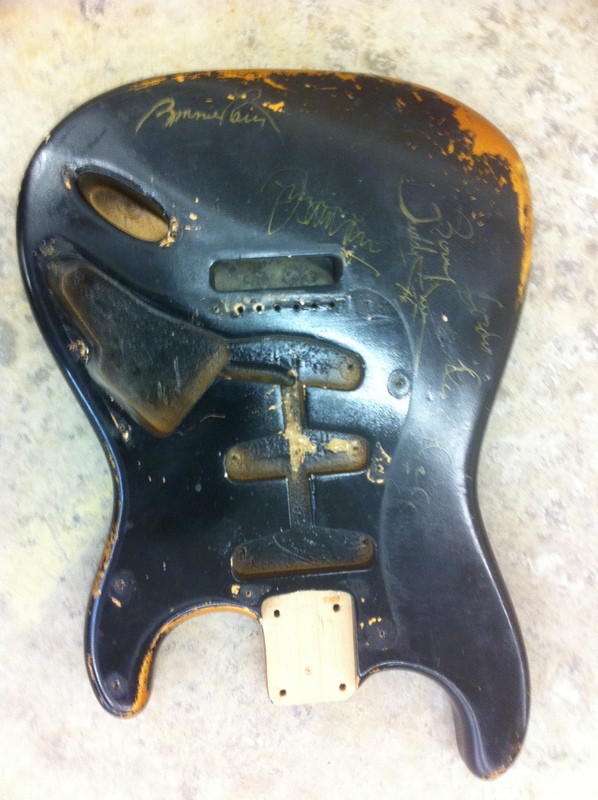 Here’s another great vintage guitar candidate for a body restoration. 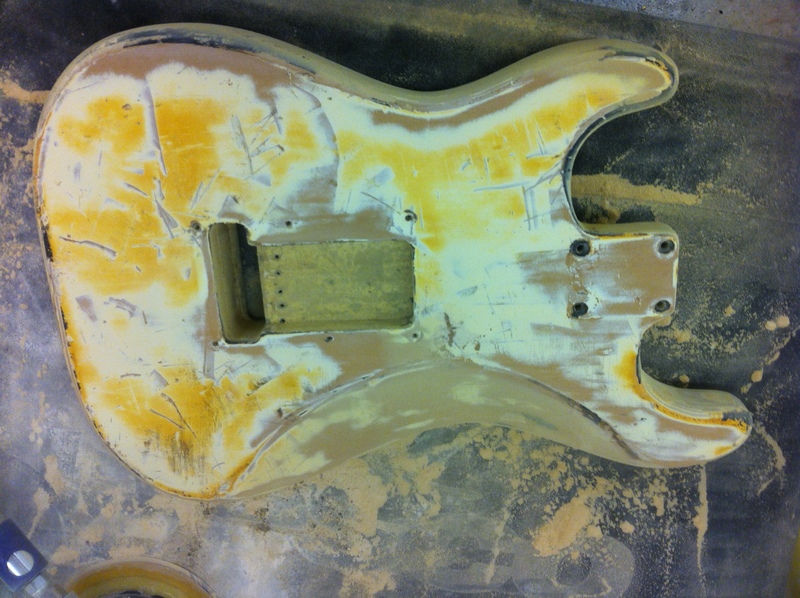 Only the body on this guitar has been messed with, so the order is for me to strip the finish, refinish it in the original color: Olympic White, then age it to look like the rest of the parts, which are all in original condition. 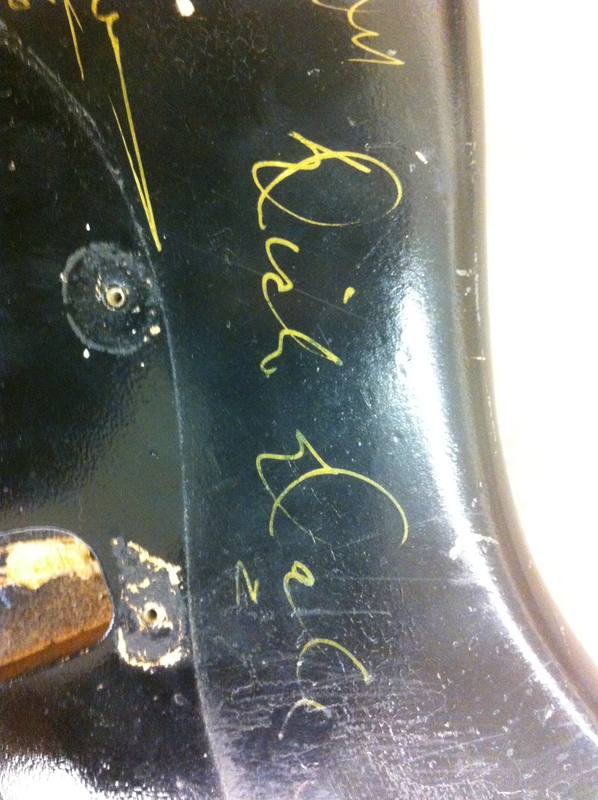 Many people think that autographs increase the value of guitars. In most cases they don’t. 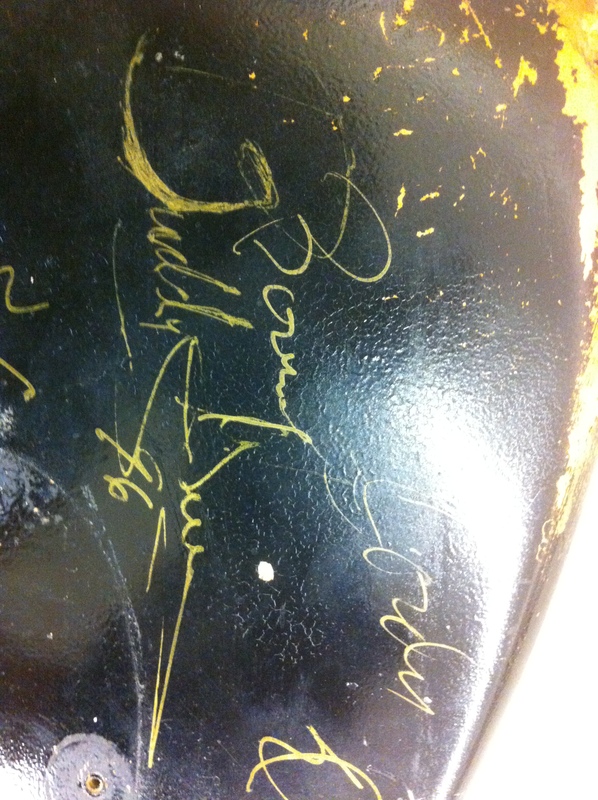 They also wonder why I would refinish an old vintage guitar. 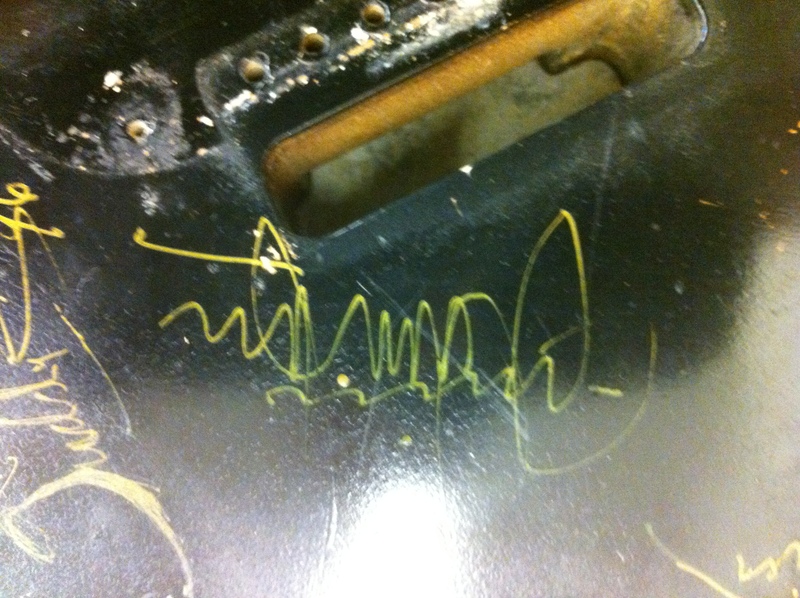 To clarify: I never remove the original finish from a guitar, but only a previous refinish. I commonly find them with layers of history underneath what is first visible to the eye. Because of various conditions that a guitar might have been exposed to through the course of its 40+ years, there are many shades of Olympic White that come to mind when you think of a vintage Fender. 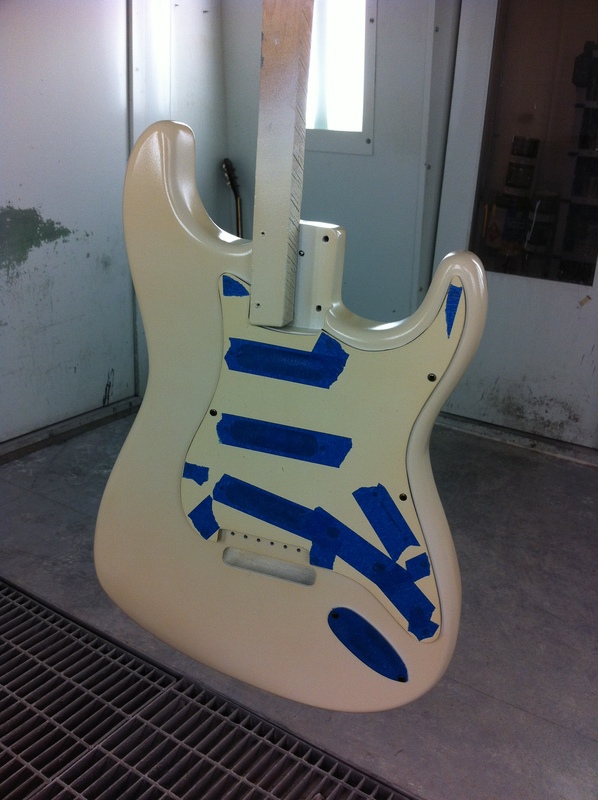 It’s important to start with the proper color, before applying the yellowed clear coats. 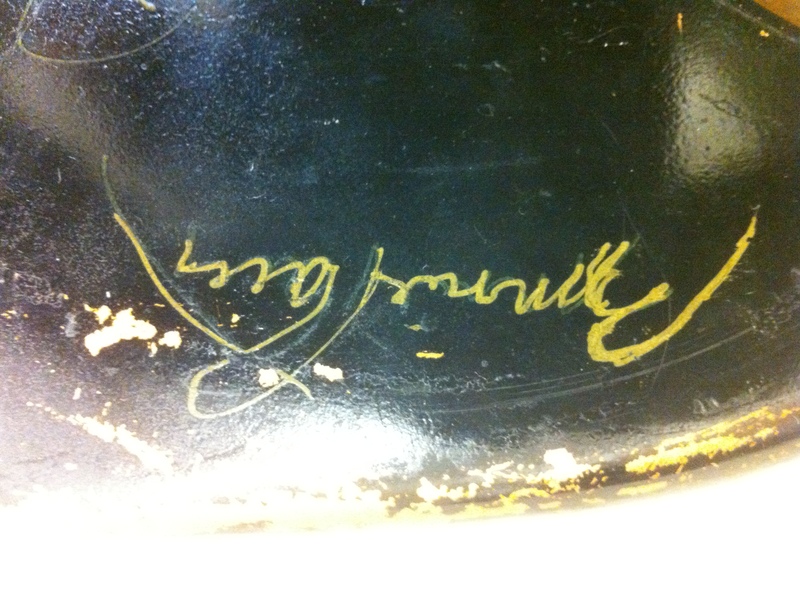 I’ve formulated mine from a sample of exposed finish on an original 1964 Fender Stratocaster. It is absolutely true to an original. Here are the initial color coats of Olympic White with a little bit of clear amber-tinted coats to reproduce the look of original clear top coats that would have yellowed with age.